The Western Front battles take place years apart. 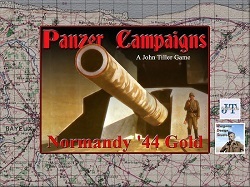 The first and one of the most important campaigns was the German campaign to take France, Belgium and the Netherlands. This was the first time the Western nations got to see the Blitzkrieg up close and personal. Germany swept through the Netherlands and Belgium in no time at all and then started into France. Eventually France would fall and thousands of British and French troops would be saved at Dunkirque. In 1944 the Allies stormed the beaches at Normandy breaching Hitler's vaunted Atlantic Wall. 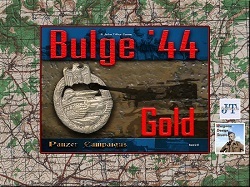 After the breakout from Normandy the long fight to cross into Germany really began. Many mistakes would be made by both sides in attempts to end the war quickly. However, the Allies would eventually beat Germany in the bloody struggle to free Europe. It was the summer of 1940. The Germans had already marched across France in a spectacular victory. Now the Wehrmacht faced Britain, with only the English Channel between them. The British Army had been rescued by the miracle at Dunkirk but, as a result of abandoning much of its equipment in France, was a poorly equipped, disorganized force, backed up by untried reserves along with some under trained Canadian and ANZAC units. The Germans facing them were the juggernaut that had won victory after stunning victory, were full of confidence, and had a proven panzer arm—lacked experience in amphibious operations. 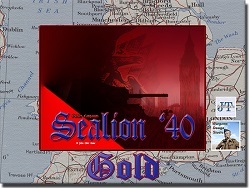 Sealion '40 explores "what if" the RAF had been beaten in the Battle of Britain and events had transpired to create conditions where Hitler might have launched Operation Sealion - the invasion of Great Britain. In early May 1940, the war clouds that started in Poland the previous year blew into France and the Lower Countries as the Germans cross the border thus ending the period known as "The Phony War". With the opening of hostilities the Franco-British Armies executed their pre-war plan and marched into central Belgium to meet the enemy and to re-fight the First World War. The Germans however had devised a new attack. A bold and risky plan to push the bulk of their mobile forces through the Ardennes Forest, outflank the Allied forces and pin them to the coast. Will the German Panzer Divisions be able to duplicate this brilliant maneuver and this time defeat the Allies before the Army can be evacuated at Dunkerque? Or will the Allies rescue the situation like they did on the Marne River in 1914? By early September 1944, the Germans were in full retreat with Wehrmacht units streaming back to the Fatherland in complete disarray. However, German commanders were beginning to slow the tide of units and to begin organizing a defense line just as the Allied advance stalled due to lack of supplies. Montgomery argued that a single attack should be on his line of advance through Holland and on to Germany. 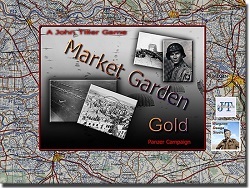 His plan code-named Market-Garden called for the Allied Airborne Army, consisting of the US 101st, the U.S. 82nd and the 1st British Airborne Divisions, to seize a series of five bridges over a one hundred kilometer stretch through Holland. The final bridge, to be taken by the British and Polish paratroopers, at Arnhem, and would give the Allies access to Germany. Can you succeed where Montgomery fail? 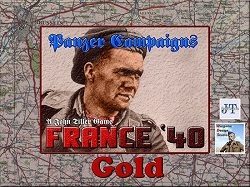 It is late 1944 and the Western Allies are catching their breath after racing across France. Standing at the frontier of Germany, the end of the war seems at hand. The Germans have other ideas, however. For the second time in the war, the Germans pull off a surprise attack in the Ardennes. Under the cover of bad weather that grounds Allied air power the secretly assembled Panzer Armees shakes the ground with a dawn attack. Allied units, shocked and alone in their scattered positions are grimly determined to accomplish the impossible. In the desperate hours ahead, these brave and heroic men will decide the war on the Western Front. Normandy '44 is an operational level simulation of the D-Day landings and subsequent battles to move inland fighting your way off the beaches. This is a battle largely of attrition where you will slug your way through bocage to break the dead lock in one of the best know and record campaigns in history. After 4 years of German occupation, the Allied forces in England were ready to liberate France. An enormous force of infantry, armoured, airborne naval, and air forces stood poised to strike at the German beach fortifications and dense bocage of Normandy. All hopes for the liberation of France and the end of World War II would depend on the success or failure of this invasion. Will Eisenhower's plan succeed, or will Rommel's panzers throw the Allied invasion back into the sea?